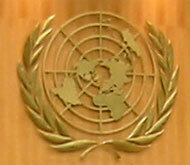 Last month a world-wide telephone survey was conducted by the UN. The only question asked was: "Would you please give your honest opinion about solutions to the food shortage in the rest of the world?" In Eastern Europe they didn't know what "honest" meant. In Western Europe they didn't know what "shortage" meant. In Africa they didn't know what "food" meant. In China they didn't know what "opinion" meant. In the Middle East they didn't know what "solution" meant. In South America they didn't know what "please" meant. In the U. S. they didn't know what "the rest of the world" meant. And in Canada they hung up because they couldn't understand the researcher's Indian accent.